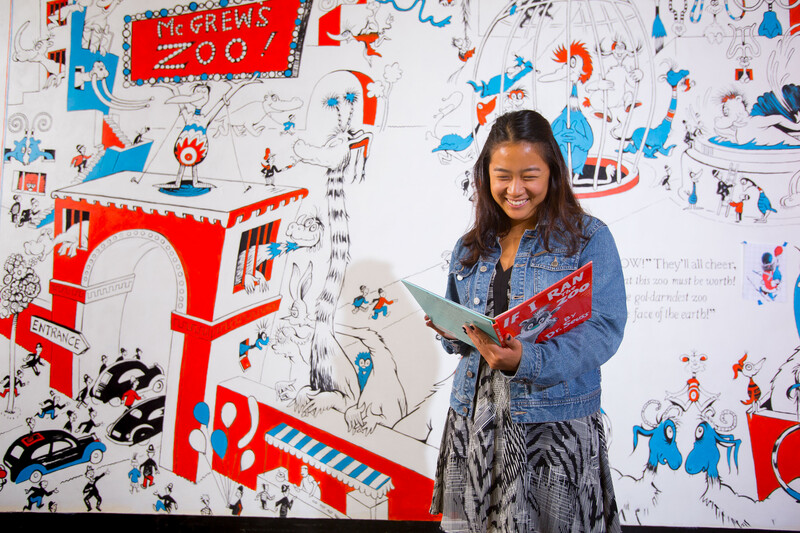 Commonwealth Honors College students, including Elisabeth Yang ’17 (above), worked behind the scenes throughout the academic year to prepare The Amazing World of Dr. Seuss Museum for its June 3 opening in Springfield, Massachusetts. UMass Amherst student contributions include translating Seuss’s works, planning a conference, and assisting Professor of Art John Simpson with Seussian murals. Marshall Jones ’72G, ’74PhD, a bright light of the UMass Mechanical and Industrial Engineering department, came up with lasers powerful enough to cut steel. This spring, he took his place alongside fellow famous innovators in the National Inventors Hall of Fame. Jones worked for General Electric and received more than 50 patents over 42 years. When she received an email with the subject line “Broadway audition,” Katy Geraghty ’16 thought it was spam. But two days after graduating, she won the role of a Punxsutawney, Pennsylvania, resident in the original cast of the hit Broadway musical Groundhog Day. That’s her onstage (pictured at left) with star Andy Karl. Geraghty, who grew up in Gloucester, Massachusetts, was ready for the song and dance-heavy role after her experiences with the North Shore Music Theatre, the UMass Department of Theater, the UMass Theatre Guild, and the UMass a cappella group the Hexachords. Andy Dowd ’08 is a professional photographer as well as a student at the University of Massachusetts Medical School in Worcester. His book, Med School: Photographs and Stories from Inside (Sargent Street Press, 2017), provides a candid look at his fellow students’ med school lives. 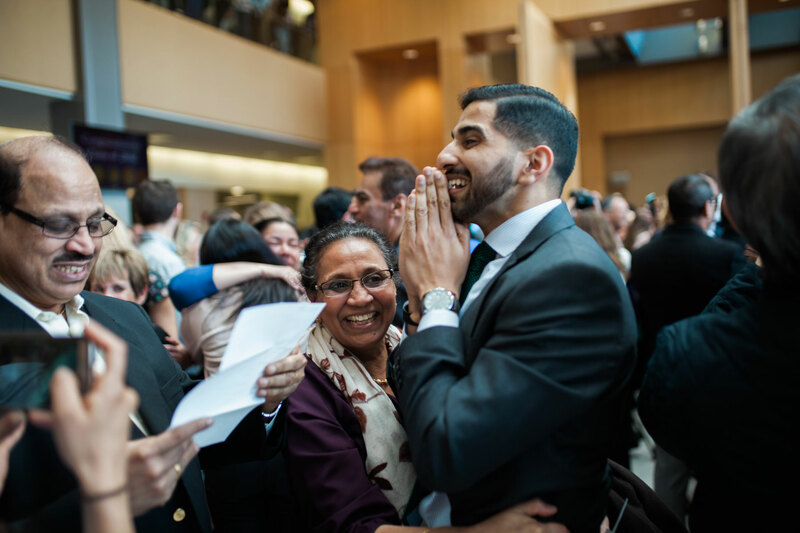 Above, on Match Day, a fourth-year student and his parents learn that he’ll be staying at UMass Medical School for his residency. You would be hard-pressed to find a more intimate—even revolutionary—depiction of the emotional and sensory experiences of motherhood than you’ll read in Lilli de Jong, the debut novel from Janet Benton ’92G. Benton imagined a heroine, Lilli de Jong, an unwed Quaker mother living in 1883 Philadelphia, who enters not only readers’ hearts, but also their minds, through her distinctive, questioning voice. The book, in the form of Lilli’s journals, relates her travails as she strives to keep her daughter and simply survive in a society with no tolerance for unmarried mothers. In the days before any safe alternative to mother’s milk, ensuring an infant’s survival meant breastfeeding. Benton evokes the sensations of having a baby at your breast with unprecedented vividness; the act of nursing is central to Lilli de Jong. Lilli becomes a live-in wet nurse for a wealthy family, and must send her own daughter to a hovel to be fed by a poor woman who is nursing two more infants. For more new books by UMass authors, visit Bookmarks.